New Directions Publishing Corporation, 9780811219501, 219pp. 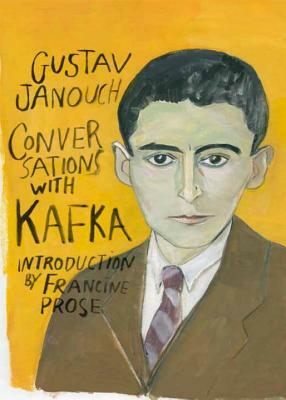 They talk about writing (Kafka's own, but also that of his favorite writers: Poe, Kleist, and Rimbaud, who "transforms vowels into colors") as well as technology, film, crime, Darwinism, Chinese philosophy, carpentry, insomnia, street fights, Hindu scripture, art, suicide, and prayer. "Prayer," Kafka notes, brings "its infinite radiance to bed in the frail little cradle of one's own existence.